Should You Only Hire Certified PT? This article hits home on a variety of levels, because I’ve always been a huge supporter of Ralph Nader’s and the concept of consumer protection. When it comes to pretty much anything healthcare related, there are set protocols, enforced by law, monitored by agencies, and carefully scrutinized by professional boards. Whether it’s a routine check-up, a visit to a specialist, chiropractic or even licensed massage therapy, there are safeguards in place. When it comes to personal training, there really isn’t anything anywhere near as formal. 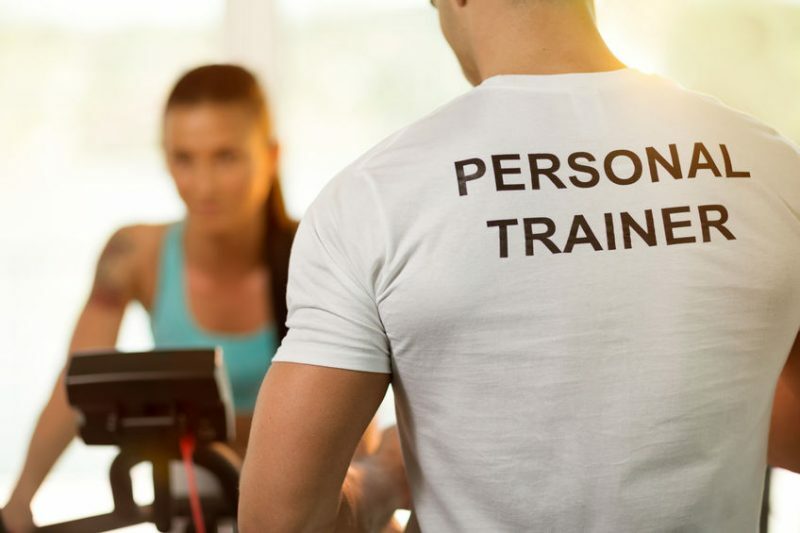 Many gyms recommend that their trainers be certified, some even require it, but very few are well-versed enough to know which programs teach what. For example, I’m very big on the NASM certification, which I believe to be the most difficult and intensive. Others, like ISSA, I consider to be sufficient. But there’s literally a sea of others. In fact, some minor celebrities in the bodybuilding world even have their own. Joe Blow could have a training program and if you pass Joe Blow’s program, he’ll recognize you as being certified. There are gyms who simply don’t care, as long as there’s A CERTIFICATION, they don’t care where it’s from. For many of these clueless businesses, the driving force behind the education, isn’t based on customer service or providing their members with the very best guidance, it’s simply a liability issue. They don’t want to get sued and they may also want a favorable rating from the Better Business Bureau or to win some corporate accounts. The main issue with working with non-certified PT’s is whether or not deceptive practices were employed, the susceptibility of injury, and long term wear and tear on the joints, tendons, and the body in general, of clients. One of the best memories I have that really sticks out, in writing this article, concerns a rather large gym back In Michigan. This was about ten years ago and I’ll never forget it. Many of the trainers weren’t in shape. Now that’s not necessarily a major issue, if the trainer knows what they’re doing; however, it’s a bit ironic that someone would go to an out-of-shape person for guidance on getting in shape, yet for whatever reason, they can’t (or won’t) do it for themselves. Worst yet, what if the trainer doesn’t even work out? What if their only expertise on lifting is what they know from the magazines? What if they don’t even read magazines? The trainers at this particular gym didn’t follow the sport, didn’t read magazines, and many weren’t certified. Since it wasn’t required, some didn’t take the initiative. The few trainers who were certified would make more money, provided gym members paid the higher rates. Let’s pause here. That’s pretty awful customer service from any gym. Think about it. The basic rate gets you some portly, non-lifting PT who’s not even certified, but wait, if you want to pay a much higher rate, then you might still get a totally unqualified trainer, but at least this one has some sort of a certification. That’s ridiculous! Gym-goers are placed in a very bad situation, because many gyms don’t do their homework with regards to who they employ as trainers. Worst yet, some gyms open their doors to private personal trainers, who may know even less about training and who the gyms don’t know from a hole in the wall. At this point, it’s just about money to the gym and nothing else. There are exceptions to the rule and most top tier gyms wouldn’t look twice at the kind of PT’s this article is about. Sadly, there are many gyms who simply don’t care. In fact, there are so many that I’ve personally come across, that here I am, writing an article about it. In the end, it’s really a Buyer Beware kind of situation. The danger of working with an inexperienced, non-certified, out-of-shape and totally clueless personal trainer in a gym’s t-shirt is truthfully alarming! In many cases, clients will sign lengthy waivers, spend all sorts of money, and not see any results. In other cases, there may even be injuries. It’s really a very bad situation. Truthfully, BUYER BEWARE!! Do your homework, look for credible references, read reviews, just really be on your A Game! I hope you enjoyed reading this article at Iron Magazine. Please leave your comments here or wherever you may see this. Thanks for reading.